What’s the biggest money-related lie? Until recently, it was “the check is in the mail.” With the growing prevalence of digital bill payment, however, fewer of us can tell that lie these days. Banks aren’t just lying to us, however–they’re deceiving themselves about the impact that free checking accounts have on their bottom line. A year ago, Bankrate reported that 82% of credit unions and 38% of banks still offered “free” checking accounts. Practically every one of them has a schedule of fees a mile long, however. 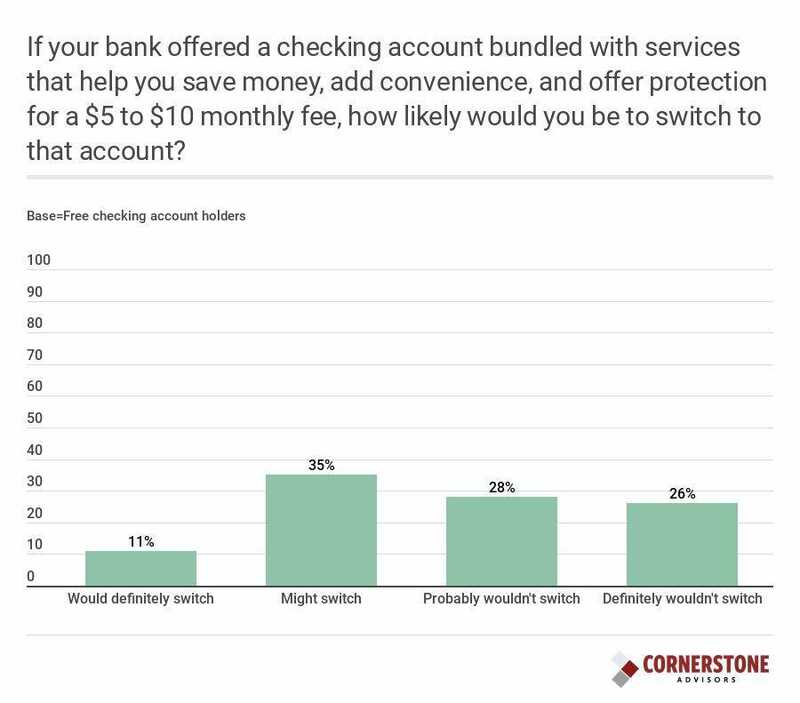 In a Q4 2018 survey of US consumers, Cornerstone Advisors found that three-quarters have a free checking account. That’s a two percentage-point decline from a similar survey it conducted in 2017. 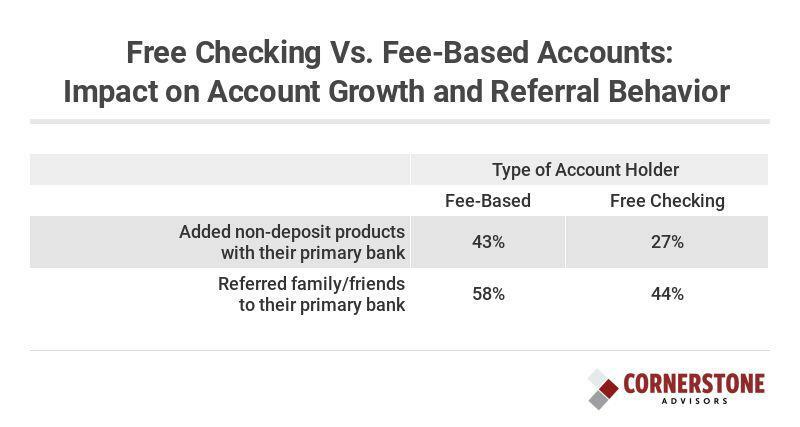 In that survey, of the 1,555 respondents with a free checking account, just one–one respondent, not percent–didn’t pay any checking account-related fees in 2017. Overdraft, ATM, and card replacement fees were the most common types of fees paid. There are four reasons why financial institutions offer free checking. They: 1) Expect to make money on interchange fees from debit card use; 2) Want to gather deposits; 3) Think it’s a springboard to growing a customer relationship; and/or 4) Believe free checking is a basic human right. The first three points are increasingly not happening (the fourth is why this blog is called the “snark tank”). Health savings accounts. Americans have roughly $44 billion sitting in HSAs–money that used to go into checking accounts, but now gets diverted (typically in the payroll processing process) before it even gets to the checking account. Merchant apps. Starbucks’ mobile app users have $2 billion sitting in their accounts. And that’s a conservative estimate. As other large merchants–notably Walmart and CVS, for example–copy the strategy of having consumer load funds into a mobile app, more money will move out of checking accounts. The last two trends also lead to a reduction in debit card transactions on consumers’ bank-issued cards, and hence, a decline in the banks’ interchange revenue. If free checking can’t stem the tide of deposit displacement, then surely it’s good for helping grow customer relationships, right? Wrong. Having a fee-based account didn’t cause the positive behaviors, of course. But the point is that having a fee-based checking didn’t deter them from growing their relationship. The underlying and prevailing problem with checking accounts isn’t pricing–it’s the lack of a strong value proposition. When consumers were asked what they would do if Amazon offered a checking account bundled with other services like cell phone damage protection, ID theft protection, and roadside assistance–for a fee of $5 to $10 a month–roughly three of 10 consumers say they would open the account. Fewer wanted a free checking account from Amazon. Many consumers want this type of bundle from their banks–even those who currently have a free checking account. There are other strategies for increasing the value of the checking account. But bankers have to wake up to the 2019 reality that free checking isn’t delivering the value needed–either to consumers or to them.